Altiux Innovations is a software and product engineering services organization focused on developing Internet of Things (IoT) enabled products and solutions for the smart connected world. 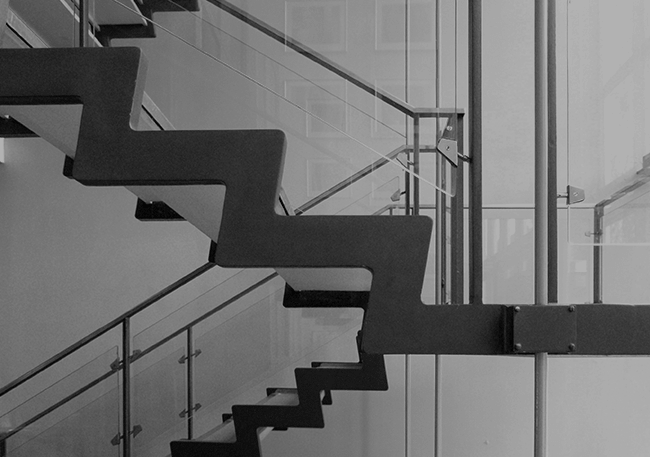 We work with product makers, system integrators and service providers across verticals such as consumer electronics, smart homes, intelligent buildings, smart cities and industrial automation. Our deep domain expertise along with our off-the-shelf IoT solution accelerator toolkit, enables competitive differentiation for our customers by accelerating time to market, reducing costs and future proofing investments. Our vision is to play a key role in shaping technologies of tomorrow, today through our innovation and product engineering capabilities. Our mission is to be the number one product engineering services company for a smarter connected world. At Altiux, the way we do business is just as important as the business itself. Our employees all understand the responsibility we bear as we work together toward helping our customers design & develop innovative products for the connected world of people, businesses and things. We are driven by the desire to identify, understand and satisfy the needs and expectations of our customers. As a technology solutions and engineering partner, we play a vital role in our customer’s success. We take this faith placed in us seriously and provide them with superior value through our global presence and commitment to quality. We understand the competitive advantages that technology brings to our customers, we help our customers stay ahead of the curve by co creating innovative solutions. The best solutions come from working together with both colleagues and clients. At Altiux we believe in fostering and driving a spirit of collaboration and partnership with our customers, employees and business partners. We understand the importance of innovation and agility in today’s fast changing world, we are committed to the success of our customer. Strength through partnership. It’s a core value at Altiux. The best solutions come from working together with both colleagues and clients. At Altiux we believe in fostering and driving a spirit of collaboration and partnership with our customers, employees and business partners. The purpose and goal of oneM2M is to develop technical specifications which address the need for a common M2M Service Layer that can be readily embedded within various hardware and software, and relied upon to connect the myriad of devices in the field with M2M application servers worldwide. A critical objective of oneM2M is to attract and actively involve organizations from M2M-related business domains such as: telematics and intelligent transportation, healthcare, utilities, industrial automation, smart homes, etc. 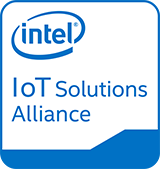 Intel® Internet of Things Solutions Alliance provides tools, Embedded Innovator magazine, and Embedded Community to make embedded solutions smarter. Samsung ARTIK™ is the integrated Smart IoT platform providing the fastest path to secure, interoperable, and intelligent IoT products and services. Samsung Enterprise Alliance Program (SEAP) is designed to provide differentiated benefits to ISV partners and channel partners according to their various needs. The goal of SEAP is to enable partners in creating new revenue opportunities in the enterprise mobile business with Samsung products and solutions. 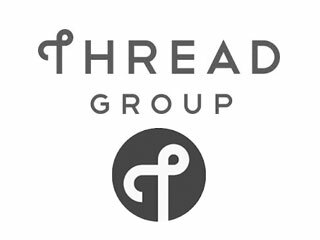 The Thread Group is a not-for-profit organization responsible for the market education around the Thread networking protocol and certification of Thread products. Thread is an IP-based wireless networking protocol that addresses the need for a new and better way to connect products in the home. With Thread, product developers and consumers can easily and securely connect more than 250 devices into a low-power, wireless mesh network. Wi-SUN is a leading global industry alliance promoting interoperable wireless standards based solutions for the Internet of Things. Sunil Motaparti and Shyam Vedantam founded Altiux in 2013. Since then, the company has grown to more than 50+ employees worldwide, with a management team that represents some of the most experienced professionals in the industry. Sunil is a serial Entrepreneur and has been involved with multiple mobile and internet start-ups. 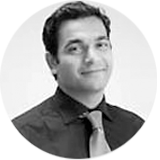 Sunil has a decade of extensive experience in technology management, business development and marketing. With MS and BS degrees in electrical and computer engineering from Carnegie Mellon University, his prior roles include semiconductor design at Intel, Magma and IBM. 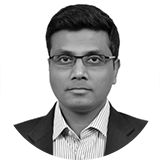 Shyam is a senior executive with a strong legacy of building businesses and launching multiple technology products and platforms across the Industrial, Automotive, Mobile and Wireless domains for large MNCs as well as start-ups. His previous roles include P&L, technology and general management at Harman International, General Electric and KeyPoint Technologies. Shyam holds an executive MBA degree from IIM Calcutta and a bachelor's degree in computer engineering from Osmania University. 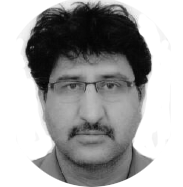 Keval heads the Architecture and Engineering team at Altiux, and is responsible for driving roadmap and Architecture of IoT Toolkit (End to End Intelligent IoT Middleware) for IoT devices and Cloud based software platforms. He has over 17 years of experience in the Internet and mobile Industry. He was previously CEO at P-Device Systems, a Converged Cloud Platform company providing software platform to device makers. Prior to P-Device Systems, he was at LG India R&D. He holds Bachelor of engineering (E&C) from NIT Surathkhal and holds 11 patents. Altiux Innovations is backed by BitChemy Ventures. BitChemy Ventures is a technology incubation initiative of a large conglomerate operating out of West Africa and India. Its parent company has a turnover of over $USD 1 Billion operating in more than 10 countries and 8 industry sectors, and have been in operation since 1985 in Hyderabad, India.